It doesn't take a techie to appreciate a USB flash drive. A USB flash drive is one of those items that can still be useful even if one has already collected a handful--you can't have too many of them. 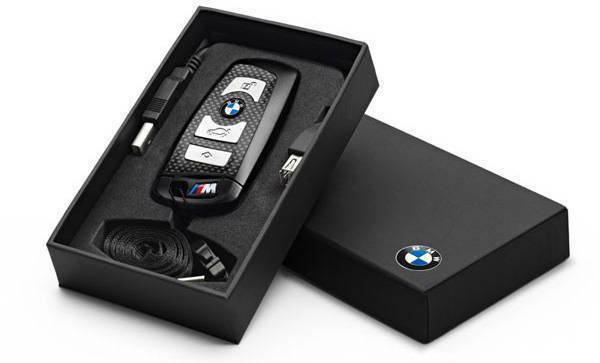 So, here's another gift idea for your automobile-crazy loved one: the 8GB BMW M USB key. The USB stick carries the current design of a BMW M vehicle key. Having an extra USB cable, this item is attached to a slim black lanyard. It also comes with a gift box, so you won't have to bother wrapping it. Selling for P2,700, this 8GB USB stick is available at Autohaus BMW in Libis, Quezon City.